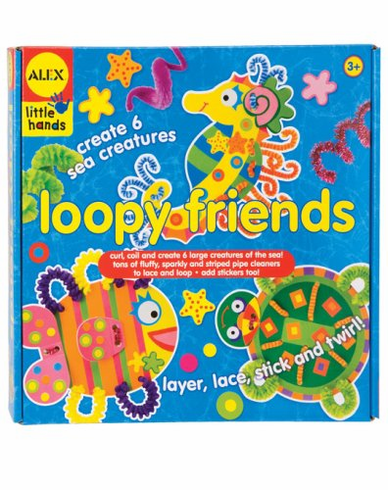 Cut, coil and create 6 creatures of the sea using sparkly, stripy and puffy pipe cleaners. Includes more than 50 pipe cleaners of various textures and colors. Also includes cardboard punch outs and over 65 stickers plus easy instructions. For ages 3 and up.